Governor Andrew Cuomo announced $1.8 million in Conservation Partnership Program grants for 55 nonprofit land trusts across the state on April 20. Representatives of the Department of Environmental Conservation (DEC) and Land Trust Alliance unveiled the grantees at an event at Teatown Lake Reservation in Westchester County. The grants, funded through the Environmental Protection Fund (EPF), will leverage an additional $1.7 million in private and local funding to support projects to protect farmland, wildlife habitat, water quality, enhance public access for outdoor recreational opportunities, and conserve priority open space areas important for community health, tourism and regional economic development. The Land Trust Alliance administers the Conservation Partnership Program in coordination with DEC. The 12th round of Conservation Partnership Program grants will help local land trusts like the Western New York Land Conservancy to sustain and expand community and landowner outreach initiatives and develop an array of land conservation, stewardship and education programs. The Western New York Land Conservancy was awarded $59,600 in two separate grants. The first grant will support the Land Conservancy’s efforts to protect the 108-acre Coulter Farm in the towns of Cambria and Wilson, which will be the Land Conservancy’s largest protected farmland project in Niagara County and will help spur additional farmland protection in one of the most productive agricultural areas of the state. The second grant will support a collaboration between the Land Conservancy and the Genesee Land Trust to engage a leading expert who will provide training and strategic guidance on building fundraising capacity. The 2015 round of funding also included awards for several other Western New York land trusts, including Grassroots Gardens of Buffalo, Buffalo Niagara Land Trust, Genesee Land Trust, and The Nature Conservancy of Central & Western New York. The Western New York Land Conservancy is a regional, not-for-profit land trust that has helped protect more than 6,000 acres of land with significant conservation values in Western New York for the benefit of future generations. 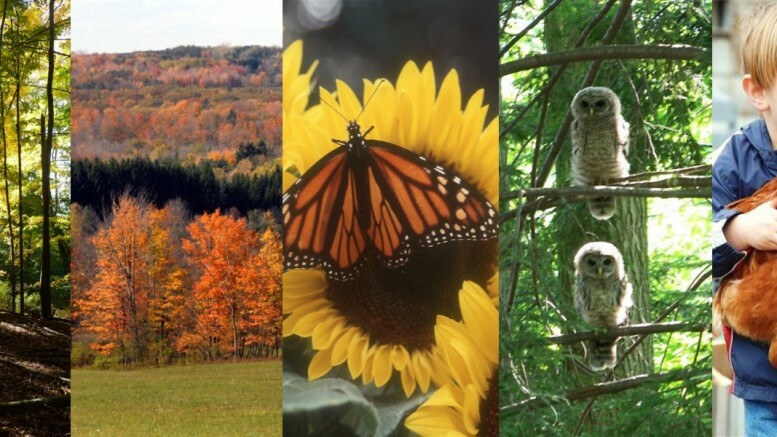 We envision a future in which natural areas, farmlands, wildlife habitat and scenic beauty are cherished and protected as part of the landscape and character of Western New York. The organization is one of 1,700 land trusts nationwide, including 90 in New York State, which have protected 40 million acres over the last 20 years. For more information on upcoming events, volunteer opportunities or the mission of the Western New York Land Conservancy, please call (716) 687-1225 or visit www.wnylc.org. Be the first to comment on "WNY Land Conservancy awarded $59,600 from Conservation Partnership Program Grants"